Do you recall when a good few (myself included) panicked as Maybelline swiftly discontinues their Dream Matte Pressed Powder? 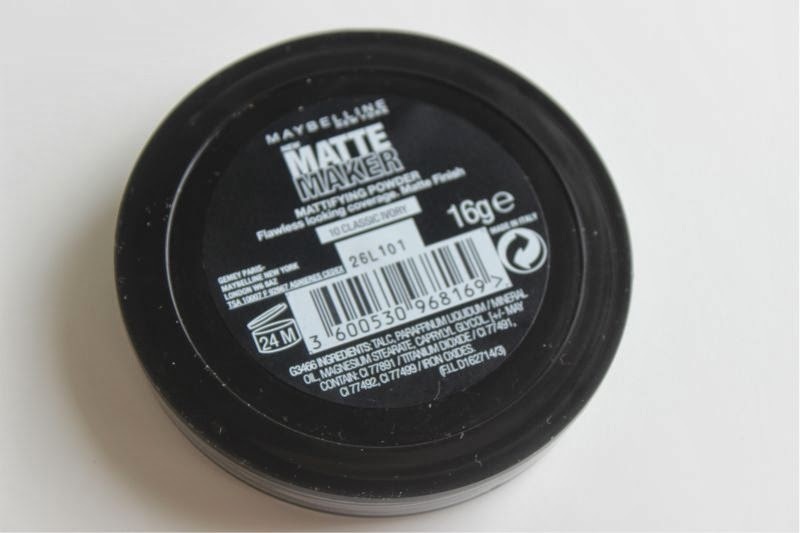 Well I think Maybelline have been ever so naughty as their newest release Maybelline Matte Maker Mattifying Powder is such powder repackaged and renamed. 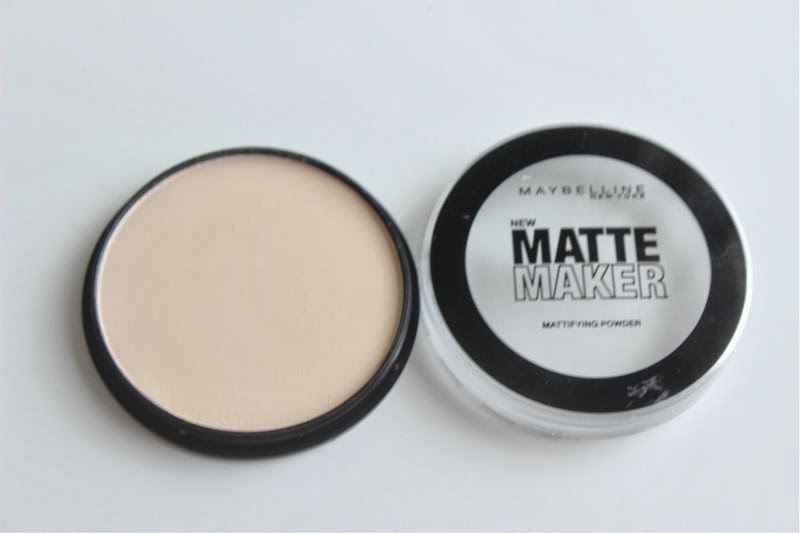 Maybelline Matte Maker Mattifying Powder comes in typical pressed powder packaging - a small, round compact which features a screw off lid. Personally I would have preferred a flip top opening as it is easier to manoeuvre on the go but as long as the casing and lid are sturdy which they are I can't complain. I should mention that this powder comes with no mirror or powder puff. I purchased Maybelline New Matte Maker Mattifying Powder in my local supermarket on a whim and can't actually find the powder online as of yet, as such store is rather small the make-up range is on the small side and only stocked two shades. There could well be more shades on the way, I've searched high and low for more information on this powder with no avail. I went for the lightest powder which is Classic Ivory. I do think the bright lights of the shop altered my judgement (no testers) as in reality this is one of the palest powders I have ever owned or seen. 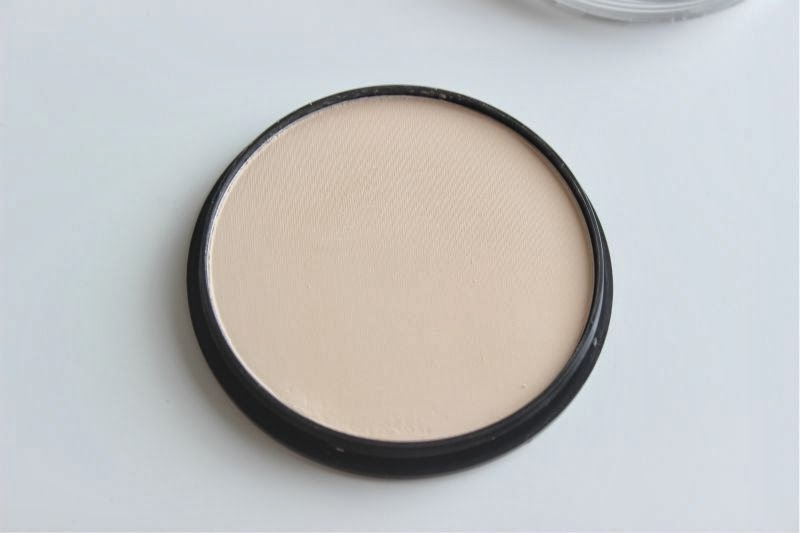 Maybelline Classic Ivory is almost white in tone with a light yellow undertone - if you have a pale complexion this could be the shade you have been waiting for? Although a little too light for me to use all over my face I rather like it for setting my concealer when I highlight and contour to keep such areas light. 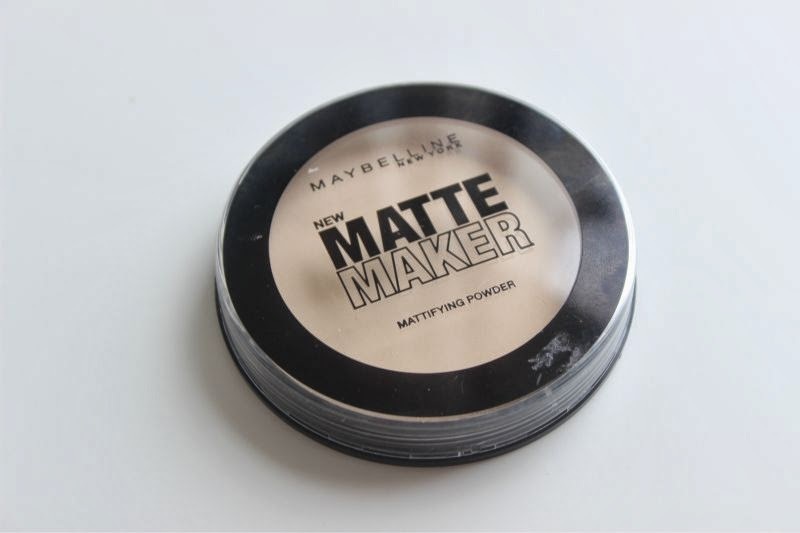 The Maybelline New Matte Maker Mattifying Powder is a light silky powder that feels lightweight on the skin and does mattify the skin without looking heavy or caking for that matter. In terms of coverage it is sheer and acts almost like a second skin while controlling oily areas of the skin. Is this the best pressed powder out there for oily skin? No but you won't find anything better in the likes of Boots or Superdrug or for this price (it was £5.99). As most will know I have really oily skin and I can apply this in the morning and easily achieve up to six hours of wear before signs of oil appear, I can then reapply this powder to the areas that need it, safe in the knowledge that it won't look heavy nor does it oxidise or settle in my open pores. If you are missing Maybelline Dream Matte Powder this could be just what you are looking for! I'm wondering if this is the same as our new Dream Smooth Powder which has replaced Dream Matte. I hate it. It is straight up orange. Oompa. Loompa. Orange. And the formulation is not the same, but I can't attest to it's staying power or quality as I washed it off as soon as I saw how orange I looked in the mirror. This sounds like my beloved 04-05 Cream Dream Matte. Good thing I'm right in the middle of doing a swap with a lovely young lady in the UK who will be nice enough to include one of these in my box for me so I can compare.